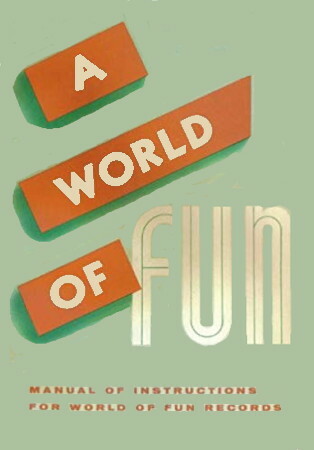 A World of Fun: Instruction book for use with the world of fun folk game and dance records, by R. Harold Hipps and Wallace Chappel. Division of the Local Church, General Board of Education, the Methodist Church. 1959. Games with music and folk dancing.